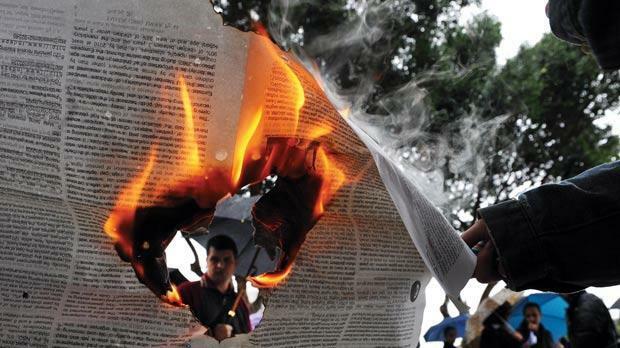 Repealing blasphemy law and ensuring vilification of religion is no longer a crime meant Malta was "leading the way in freedom of speech," the Malta Humanist Association said today. In a press release, the MHA welcomed the decriminalisation of vilification of religion, arguing that people could now challenge ideas without having to fear ostracisation or criminal proceedings. The change would encourage rational debate and constructive criticism, the association said. "Aren’t ideas or beliefs inherently weak if the people holding them prohibit their scrutiny?" the MHA asked. Nobody, it said, would want a political system or ideology to be above scrutiny or criticism, and religious beliefs ought to be no different. The MHA drove home the point that the bill had no effect on existing hate speech laws, adding that "the law does not specifically define vilification, meaning that this may be left to the discretion of the judiciary." Laws criminalising blasphemy were repealed by parliament earlier this week. The news was greeted with dismay by Archbishop Charles Scicluna, who tweeted "Lord forgive them: they do not know what they do" in reaction to the news.